Italian men love to talk about their local cheese. Within moments of meeting an Italian man, likely as not, they will wax poetic about the cheese of their particular village, and how it is better there than anywhere else. Don’t get the cheese from the neighboring town, it’s not as good. Their cheese is the REAL one. They’ll tell you how to eat it, what to eat it on, and recount recipes that you can make with their special cheese. They’ll ask if you’ve ever eaten their cheese, and if not they very well might invite you to come visit so that you can try their local cheesy delicacies. 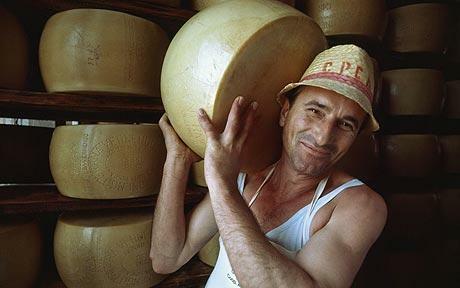 Italian women are just as proud of their cheeses, but they aren’t likely to talk to you about it. Instead they’ll invite you over for dinner and feed you. And while you eat, the men will keep telling you about the cheese. Perhaps stereotypical, but I’ve found it to be true in my experience. Being in an isolated part of Italy, and not having traveled extensively outside of it, I thought this was perhaps a local phenomenon. People from Valle d’Aosta are very proud of their Fontina. Proud of their cows. Proud of the recipes made with their cheese. Considering that half of my posts have something to do with cows, that probably isn’t surprising! 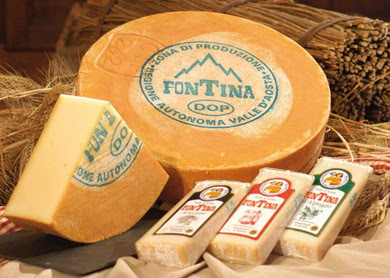 But yes, in Valle d’Aosta, Fontina isn’t just a cheese, it is a way of life for many. Even those who hate eating or smelling cheese (like my husband) are very proud of Fontina. Real Fontina only comes from Valle d’Aosta, from a certain variety of short legged Alpine cows who eat certain grass and herbs near the tops of snow capped Alps all summer. We have cheese festivals in castles, a big festival to celebrate when the cows come down the mountain from their mountain herb eating summer holidays, pregnant cow battles to find the queen cow of the region, and a raw milk and Fontina vending machine. But, as I found out at a wedding last weekend, the cheese obsession isn’t just local. It appears to be everywhere. At the wedding dinner, I sat next to a man from Gambellara, in the Northeast region of Veneto. We introduced ourselves, and he immediately asked if I ever tried real Asiago. I told him I wasn’t sure. He tells me it is so good you can’t imagine! You can get it fresh, and it is like eating a bowl of fresh cream. You can eat it on everything. But go 40 km away, isn’t not the same, not as good. 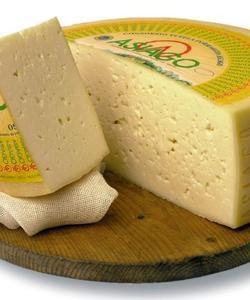 You have to eat Asiago in the town of Gambelara, because they have the real one. I think I need to visit Gambelara. After I was stuffed silly from the delicious wedding feast, I ended up talking to Antonio, the father of the bride. He is a gregarious man with a huge personality, and before we were even introduced he had grabbed onto my shoulders and proclaimed, “I come from where they make the REAL mozzarella!” and for the next several hours he told me exactly why Battipaglia, in the region of Campania (in the south of Italy, near Naples) has the best mozzarella of the world. The mozzarella of Battipaglia is sweeter, he told me, but whatever you do, DO NOT get the mozzarella from Caserta, which is a neighboring town. They sell a lot, but it’s no good. 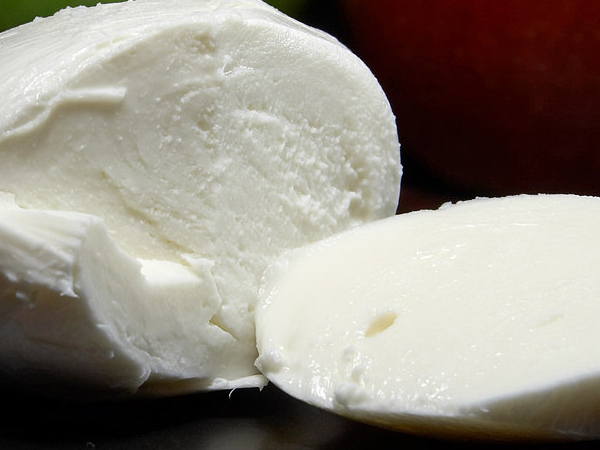 You need real buffala (water buffalo) mozzarella from Battipaglia. He told me, “I’m retired. I work for my family. I don’t smoke, I don’t gamble. What I like is to sit down with a good bottle of red wine and good food. I make my own wine, and drink a bottle a day, half at lunch and half at dinner. I come from where they make the real mozzarella. You have to buy it right when it’s made, leave it in its water for a day at room temperature. Then it is ready to eat. It is wonderful, you can’t get it up here where you live, you can’t imagine. “They come in big balls. Don’t eat them with a knife; it won’t taste as good! You have to dig into the ball with your thumbs and peel it back, break it open and eat it with your fingers. Like this.” As he speak, he is demonstrating exactly how he breaks open the mozzarella and pops it in his mouth. I could swear that I could taste the sweet cheese melting on my tongue, as he smacked his lips in satisfaction from his imaginary cheese. The conversation meandered through the subjects of tomatoes and bread, and the obligatory recipes that married the three subjects together, but it always came back to mozzarella. Antonio already planned out my trip to visit him (and his cheese). I guess I’m going to Battipaglia! Oh you make me laugh Annie. I want to go on a real Italian cheese tour right now! Your post is deliciously hilarious and I love the photos, especially that first fellow!